The Summit Metro Park staff. A restored vernal pool now stands in the Tallmadge Meadows Area. TALLMADGE, Ohio — After waiting 10 years, biologists are celebrating a conservation milestone at Munroe Falls Metro Park in Summit County. The park district’s operations, planning and conversation departments banded together to turn the Tallmadge Meadows Area from a dry piece of land with drainage ditches back into its natural environment as a wetland capable of being home to a diverse collection of wildlife. Mike Johnson, Chief of Conservation for the Summit Metro Parks, who oversaw the project, said after years of effort, a restored vernal pool that is now visible to park goers from nearby trails is supporting new life. Ambystomatidae salamanders, commonly known as spotted salamanders, are alive and well in the pools. 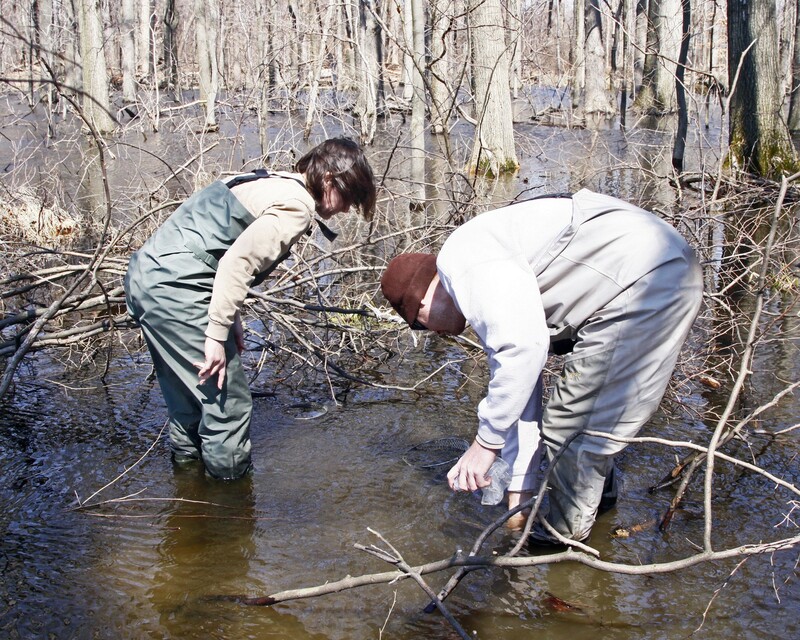 When the park district was restoring the wetland, it was always a goal for biologists to have a strong wildlife presence, which led to a focus on introducing salamanders to the area. The restored vernal pool had no nearby sources from which spotted salamanders could migrate. "Most of the wildlife are able to find their way to specific habitats, but salamanders, in particular, have difficulty because they are not very mobile creatures," Johnson said. Two of the 15 salamanders spotted by biologists. Photo courtesy: The Summit Metro Parks. 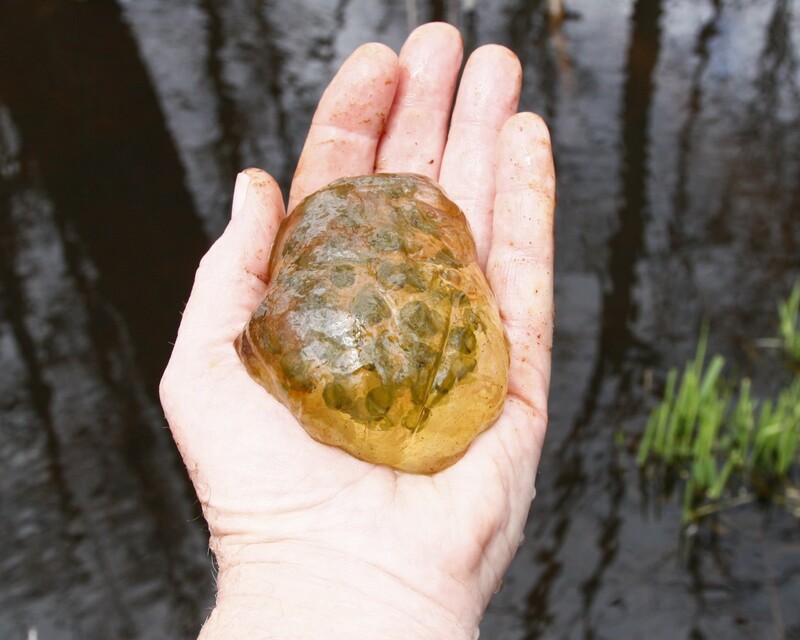 From 2014 to 2016 biologists collected egg masses from nearby parks like the Hampton Hills Metro Park and stocked them in the restored wetland at the Tallmadge Meadows Area. Spotted salamander eggs are transplanted to the Tallmadge Meadows vernal pool. Photo courtesy: The Summit Metro Parks. Knowing it takes three to four years for newly spotted salamanders to grow into adulthood, biologists checked back annually. Fast forward to 2019, and biologists so far have documented 15 young adult salamanders — a telling sign of the wetland's healthy bounce back. While they are not listed as endangered species, spotted salamanders face more threats because they are not as mobile as frogs and toads. They also can't adjust as quickly to changing habitats as a result of environmental changes or human development. 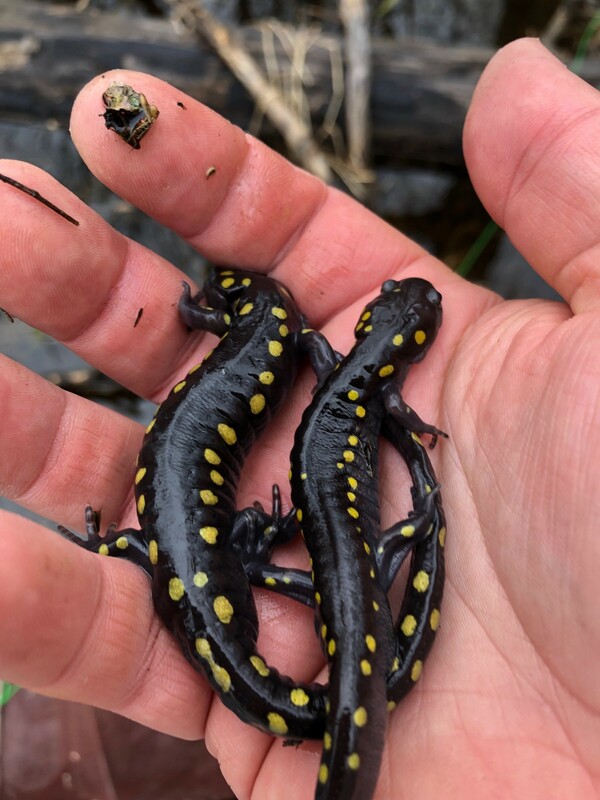 “Their presence indicates that the wetland is a healthy habitat because spotted salamanders are sensitive to pollution and disturbance from humans and development," said Johnson. "Their presence is a key sign that the vernal pool has good quality water thanks to conservation efforts to the wetland." Summit Metro Parks biologists Marlo Perdicas and Ramsey Langford monitor the area for spotted salamanders. Photo courtesy of Summit Metro Parks. During the spring when the weather is just right for the salamanders to move, the public can join naturalists to witness the annual amphibian migration across the Sand Run Parkway, which closes nearby roads for the movement. The spots are limited, and those interested in the program will be put on a list to call. Because it's difficult to forecast the migration based on weather, naturalists will post updates on the Summit Metro Parks social media pages. Those who are interested can also call 330-865-8065 to be out on the call list or visit the F.A. Seiberling Nature Realm here for details.